Meng JI is Associate Professor / Reader at the University of Sydney, Australia. She is specialised in Corpus Linguistics, Translation Studies and Contrastive Linguistics (Chinese/Spanish/Japanese/English). The corpus study of lexicography and phraseology represents mainstream research in applied translation studies and multilingual studies. 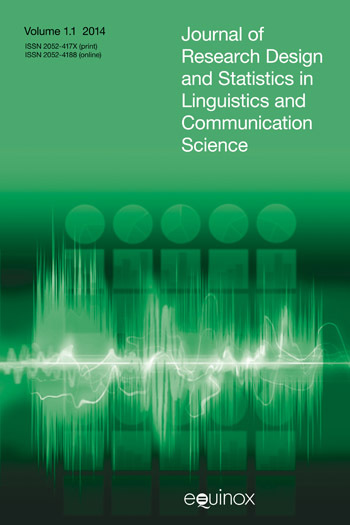 It has provided a focus of significant research in the field which explores the validity and productivity of corpus methods and approaches to the study of lexical events in translations. This volume provides an updated introduction to the interdisciplinary corpus study of lexicography in translation, whereas many past publications focus on a specific approach, for example, cognitive, stylistic or computational to the study of translation and/or multilingual lexis. The interdisciplinary research approaches presented in this book regarding the extraction, modeling, analysis and explanation of the use of lexis and phrase in translation and multilingual texts offer a practical study guide to postgraduate and research students of applied translation studies. This paper aims to report reflectively on a major interdisciplinary research project designed to investigate patterns of metaphor translation. The project is based on popular science texts and tracks metaphor in translation from English into French, German, Italian, Polish and Russian (with examples from Chinese and Spanish being added subsequently). The paper looks at questions of text selection and corpus design and considers some of the pitfalls that need to be avoided in these areas by researchers embarking on a similar project. Other methodological issues are also covered. At each step the choices that researchers – and in particular those at an early stage in their careers – who are undertaking an investigation into metaphor in translation are faced with will be discussed explicitly with a view to offering some guidance. Research into metaphor in translation can take on a wide range of different forms. In the project in question the approach taken is exclusively text-based and concentrates on a) identifying a number of parameters derived from metaphor research according to which it is possible to classify metaphorical expressions and b) examining what procedures are used by translators to render them into the target language, what changes these bring about on the micro-level and what effect, if any, the changes that occur have on the overall macro-level ‘shape’ of the target text. the University of Eastern Finland, Joensuu, Finland. Jukka Mäkisalo is Acting Professor in Translation Studies at the University of Eastern Finland, Joensuu, Finland. This study has a three-fold objective. First, it aims at examining whether it is possible to classify texts, on one hand into translated and non-translated, and on the other into domestic and foreign, by asking translation students to evaluate them. The questionnaire also seeks to discover which features of these texts are considered as domesticating and which as foreignising. Secondly, the study tries to identify domesticating and foreignising features in translated texts by using corpus methods based on previous studies on characteristics of translated texts. Thirdly, the study discusses whether the results of the two analyses correlate with each other. The material consists of translated and non-translated texts on the political history of Finland. The results show that corpus analysis does not enable us to recognise translational features in a text to the same extent as the readers of translations recognise them in a reception test. The analysis reveals that the concept foreign can be regarded as a marked feature. This finding questions the dichotomic nature of the concept pair domestication vs. foreignisation. Iraklis Pantopoulos holds a PhD in translation studies from the University of Edinburgh. He organizes and conducts courses at the Ionian University and the Technological Educational Institute of Epirus, in Greece. Provides an introduction to the ‘problem’ of metaphor in translation, looking at various theories and their implications and then presents a case study that illustrates how a careful study of metaphor in translation can thrust into relief the tripartite relationship between the universal, the culturally dependent and the individual, that is a pivZly conditioned and, therefore, a notable issue in translation. African Studies, University of London. Wang Qing was an Associate Professor at Shandong Jiaotong University, who passed away prematurely in 2012 after a most courageous battle with brain tumour. She had a strong interest in translation and literary studies and was actively publishing in both areas. Yuanjian He joined the University of Macau in 2013 as Professor of Translation Studies. He teaches Readings in Translated Literary Works (both E-C and C-E) and A Minimalist Approach to Syntax. This study explores the Chinese translation of James Joyce’s personal collocations in Ulysses. Our primary research question is whether the author’s novelty in word collocation is “normalized” by the translator into commonplace phraseology. The methodology adopted is a corpus-based translation study, with a paralel corpus consisting of the source text of Ulysses and its Chinese transtion by Qian Xiao, and a comparable corpus of the translator’s own creative writings in Chinese. The comparison of the translation with the source text shows that Joyce’s creative phraseology is normalized by the translator. A further examination of personal collocations in Xiao’s Chinese creative writings reveals that he is versed in creating stylistic effects by using his own personal collocations. We expound on three possible factors for such a divergence: different roles the translator/writer assumed for himself, the importance he attached to the authorial style , and the different linguistic features displayed by the source and target language. Adriana Pagano is Professor in the Graduate Program in Linguistics and Applied Linguistics at the Laboratory for Experimentation in Translation, Universidade Federal de Minas Gerais, Brasil. Giacomo Figueredo is Lecturer of Applied Linguistics at the Federal University of Ouro Preto (UFOP), Brazil, where he teaches English as a foreign language and translation theory for undergraduate students. He has an M.A. and Ph.D. in Applied Linguistics from the Federal University of Minas Gerais (UFMG), Brazil. He has worked as a professional translator and carried out research in the field of Translation Studies, mainly in linguistic approaches to translation. His research interests include systemic theory, functional grammar, language description, typology and translation, focusing on English and Brazilian Portuguese. He coordinates the Multilingual Meaning Production Group at UFOP and is currently working on a description of Brazilian Portuguese for multilingual text production drawing on equivalence and shifts among language systems when paired with Brazilian Portuguese. This chapter seeks to contribute to a model for quantitative exploration of translated texts by adopting clustering techniques to search for patterns of comparability in a corpus of retranslations. Drawing on systemic-functional theory (Halliday & Matthiessen, 2004) as a framework for text analysis, it reports on an exploratory study aimed at investigating source – target text relations as computed through statistical methods for a manually annotated representative text sample. Annotation built on the analytical framework used for comparing source and target texts, which is based on categories of grammatical functions common to both source and target language systems. The corpus was compiled from ten translations of a source text — a short story written in English by Katherine Mansfield — into Spanish and Portuguese by different translators over a period of six decades. The texts were explored in terms of the ‘retranslation hypothesis’ (Berman 1990), whereby retranslations tend to be more source-oriented than first translations, orientation being established in our study on the basis of the distance between source and target text as computed through cluster analysis. The results obtained point to similarities between texts computed on the basis of categories ascribed to the lexicogrammatical choices made by each author within the grammatical systems analyzed. They also corroborate the findings of other researchers who have used other approaches and methodologies to probe the ‘retranslation hypothesis’, in that they confirmed the relative distance of a first translation from the source text, while they also showed varied degrees of proximity of retranslations to the source text, the former being in some cases further away from the latter than first translations. Lore Vandevoorde is Researcher in Translation Studies at Ghent University, Belgium. Communication at Ghent University, Belgium. Koen Plevoets lectures in the Department of Linguistics at the University of Leuven, Belgium. The aim of this paper is to make a first attempt towards measuring semantic differences between translated and non-translated language. More particularly, we present a quantitative bottom-up corpus-based method for the identification of lexical items in a semantic field. The proposed method will enable us to measure and to visualize semantic similarity between the elements in that field (i.e. the field of inceptiveness in Dutch), using bidirectional parallel corpus data (Dutch-French). This method builds on the successful implementation of parallel corpora within contrastive linguistics to discern semantic fields (Dyvik 1998; 2004; Aijmer & Simon-Vandenbergen 2004, 2006; Simon-Vandenbergen 2013), while simultaneously overcoming one of its drawbacks, viz. the accurate, statistics-based visualization of the observed fields. Studies, Kazimierz Wielki University, Bydgoszcz, Poland. This paper discusses the problem of subtitling discourse markers, in particular the functions and possible renderings of ‘well’ are presented. Several approaches to discourse markers and to ‘well’ are sketched in the first part of the paper, both the more traditional views (coherence-based) and the most recent proposals (multifunctional). In the empirical part, the translations of ‘well’ retrieved from a learner corpus of subtitles (students of English at the tertiary level with translation route) are examined in line with the multifunctional approach to ‘well’. In previous studies (Bonsignori, Bruti, Masi 2011, 2012), we have focused on greetings, leave-takings and good wishes as ‘complex’ expressions that convey a vast array of socio-pragmatic meanings. The importance of such expressions and the consequences of their complexities in translation in general and in dubbing in particular have also emerged, especially as they correspond to cultural practices and habits. This paper investigates the role of two rather neglected conversational routines, namely introductions and good wishes, in audiovisual dialogue by establishing how much narrative space they are granted, which specific linguistic features they have, how frequent conventional expressions are used in both original dialogues and translation, and, finally, the emerging patterns of translation in dubbing. 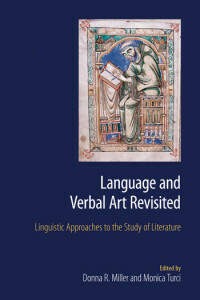 The chapter looks into how language users guide their receptors in the process of allocating attention to fragments of conceptual content. The premise for this – voiced in Cognitive Linguistics – is that humans have the ability to construe conceptual representations in an infinite number of ways. The selected construals get coded in the form of linguistic expressions whose processing initiates the procedure of meaning construction. By favouring one construal variant over another speakers opt for a particular level of detail, they choose a vantage point from which the scene is viewed, and introduce a particular prominence configuration (cf. Langacker 2008). This paper concentrates on the last of these operations which will be investigated contrastively in authentic Polish subtitles produced for English-language filmic material. The objective is to identify categories of prominence shifts, viz. cases where the target text and source text construals prompt the source and target viewers respectively to focus attention differently on portions of conceptual content. The motivation behind such salience asymmetries and their implications for meaning re-construction will be addressed taking into account constraints endemic to interlingual subtitling (e.g. Karamitroglou 1998, Tomaszkiewicz 2006), as well as the more general ones. The major contribution of this volume is that it illustrates the potential of translation studies for interdisciplinary research. The variety of approaches explored by each of the chapters is inspiring, and it will certainly provide food for thought both to the novice and the expert reader. 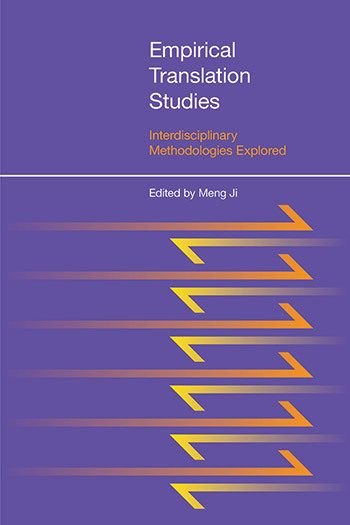 Despite the diversity of style, structure, topic, and accessibility (in terms of expertise required from the reader), all of the articles contribute to the methodological innovation and empirical development that translation studies is currently going through. In this respect, this volume hits the nail right on the head, in reflecting an up-to-date and undoubtedly refreshing account of the field as it is shifting towards interdisciplinarity and empiricism. The contributions are so varied in approach and rich in information, that they can undoubtedly inspire other researchers in the field of descriptive translation studies. Future empirical research featuring multiple theoretical perspectives will definitely be inspired by the contributions in this volume. The range and variety of materials used for empirical translation studies should also be highlighted.